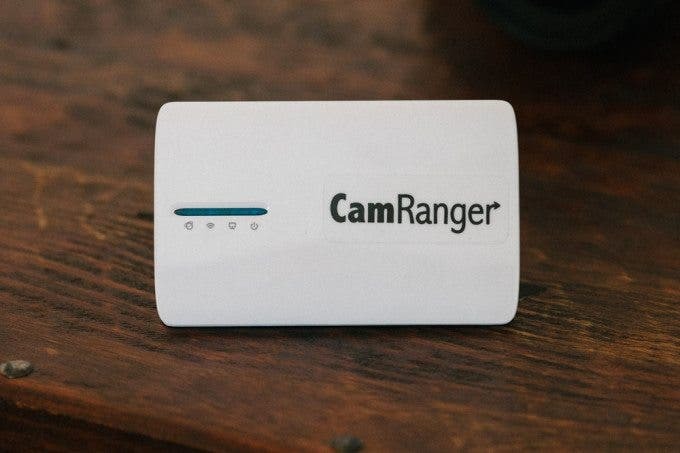 The CamRanger is a new device on the market for creating a wireless network to connect your Canon or Nikon* DSLR to your iPhone, iPod Touch or iPad for live-view tethering capabilities. 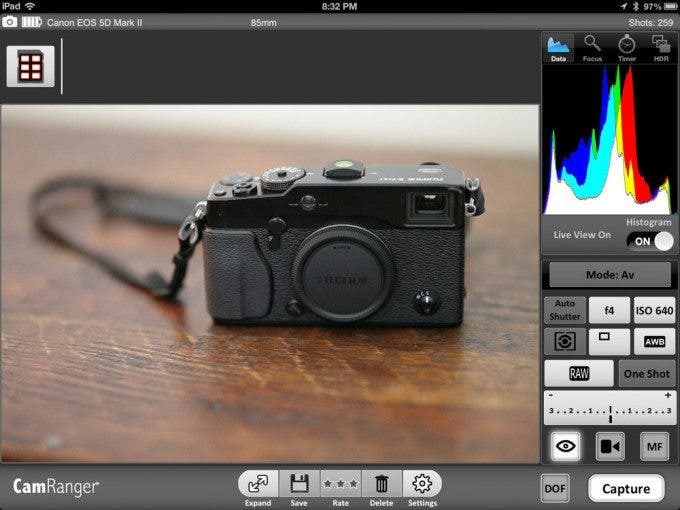 A device like this can be potentially indispensable for landscape, architecture and studio product photographers. 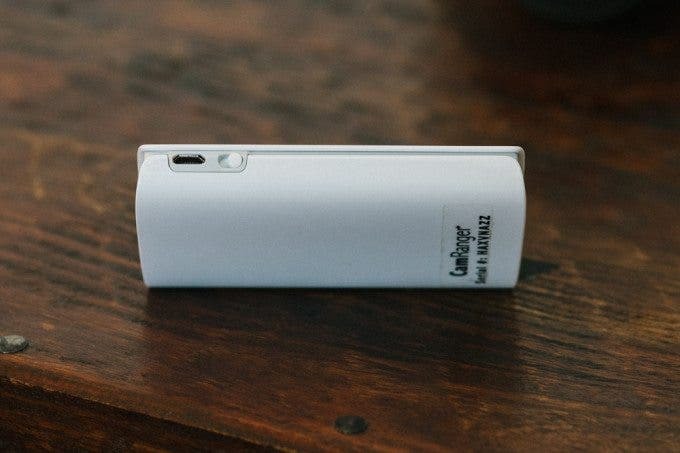 Additionally, the CamRanger supports Live View video recording so you can use your iPhone or iPad as an external monitor. 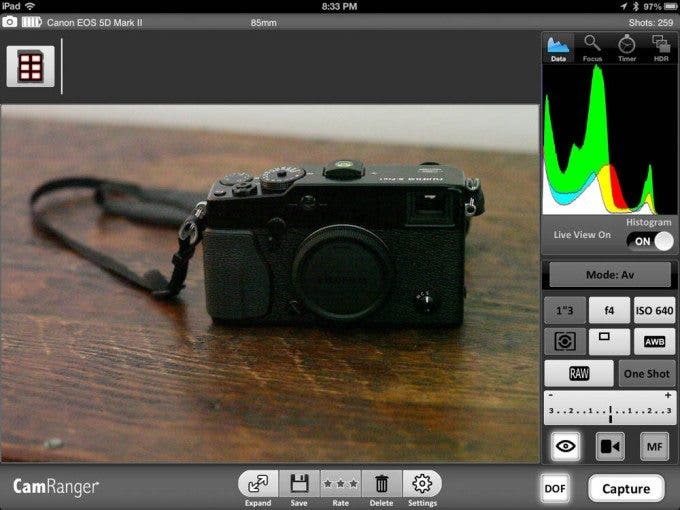 I’ve spent some time now with the CamRanger and what follows are my thoughts and review. On the front of the CamRanger there isn’t much outside of the indicator lights to let you know that it’s working. The lights are typical to what one would find on any portable 3G modem. On the side of the unit is the USB charging port and the power switch. The back plate is also removable to give you access to the rechargeable battery pack. 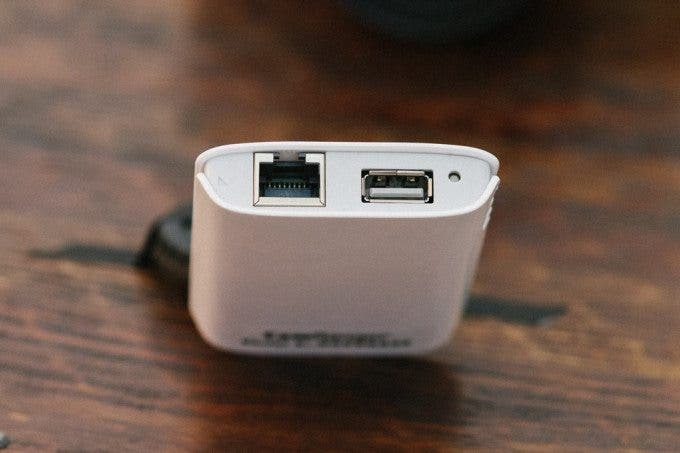 On the top end of the unit is the ethernet port for performing firmware upgrades and the USB port which will ultimately be connecting to your camera via the included cable. Well, to put it frankly, it’s a plastic modem. There’s really not much to say here other than it seems tightly constructed. There is something that I have to mention though. The CamRanger is essentially a rebadged TP-Link TL-MR3040 3G Modem. Now this isn’t inherently a bad thing, except for the fact that the original modem costs a mere $49 and the CamRanger retails for $299. I can’t quite figure out what exactly the reason is for it to cost that much. 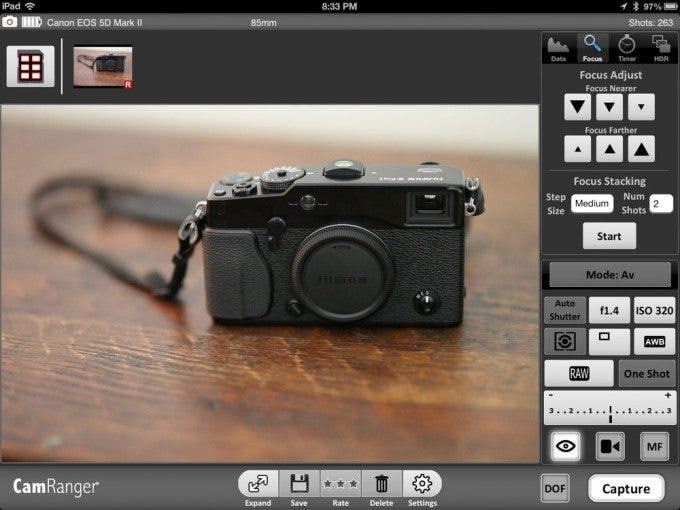 In order to utilize the CamRanger, you need to pair it with either an iPhone, iPod Touch or iPad with the free (from iTunes) CamRanger iOS app. 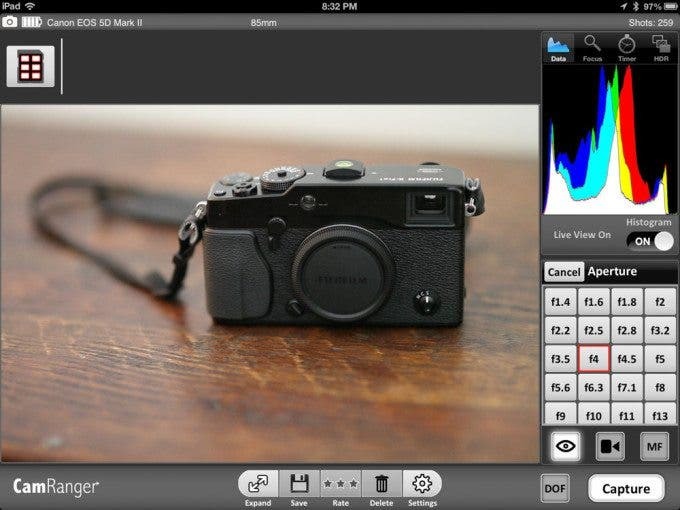 This app gives you a ton of control over your camera which is really nice feature to have. The pairing process is quite simple and doesn’t require anything other than what’s included in the box. Once paired with the app, operation is fairly straightforward as each function has its own dedicated button within the app. I really appreciated being able to see a live view feed from my camera, and even use my iPad as a wireless monitor during video recording, the refresh rate is pretty slow, so it’s not a perfect solution, but it is still usable. I had no trouble getting my camera (a Canon 5DmkII) up and running initially, but I did experience some hiccups during a shoot that I found discouraging. Seemingly unprovoked, my camera no longer responded within the app and the only solution after trying to restart everything a few times was to completely remove the app from my iPad and reinstall it from the App Store, then I was able to get back up and running. Thankfully no data was lost during my shoot as the photos are still being recorded to the memory card in the camera, but it was a very discouraging experience during my tests. I’m sure that’s not something that will happen regularly, but I wanted to make it known so you would be aware that it is possible. 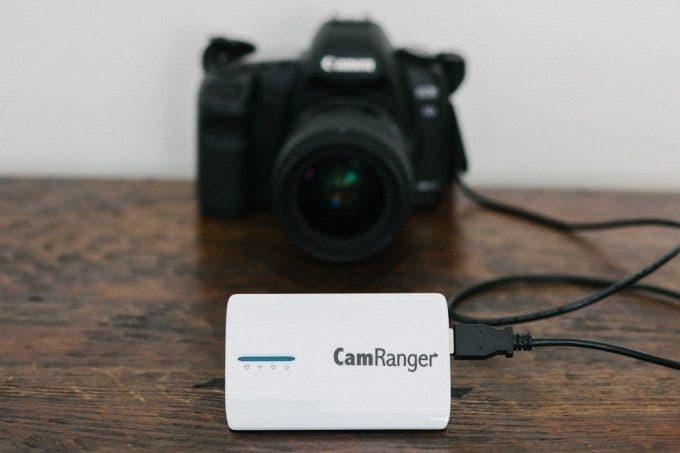 The CamRanger is a great product that suffers because of technical limitations from the hardware being used. Transmitting RAW data wirelessly takes time, and because of that, it does not provide an instant response or review time while shooting. You will be waiting a lot for images to load, especially if you plan on zooming in. I really liked being able to see the live view feed from my camera on the larger iPad screen as that made getting critical focus on my subjects an absolute breeze. Additionally, I really liked the fact that the CamRanger can be a programmable intervalometer for time-lapse photography. I was a bit disappointed with the refresh rate as it ranges between 6-18fps (which means a noticeable lag while recording video); the price-point is also another concern given the hardware it is based off of. Overall, I think it is an interesting product for studio, landscape or architecture photographers, but at $299, I have a hard time recommending it without reservation. If the price doesn’t bother you, then you can order your own CamRanger right here.